When Is the Best Time to Buy a House and When Is the Worst? The real estate market is a fickle ally and is subject to peaks and falls. Unfortunately, deciding when the best time to buy a house might be more difficult than it may seem. 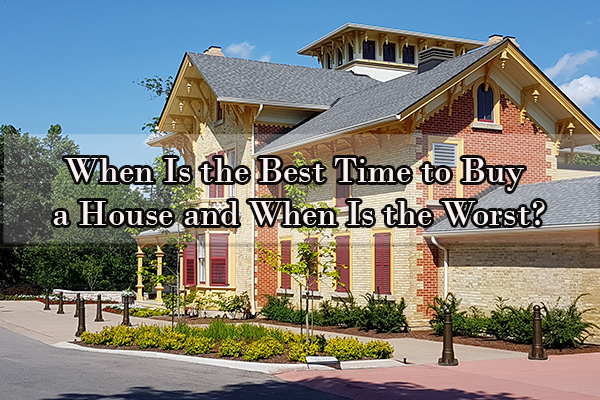 The reality is that there is no one best time to buy a house, although many instances are better than others. The best time to buy a house is affected by two factors: the buyer’s personal situation and the impact of the real estate market on the seller’s property. As a result, the answer to the question of “when is the best time to buy a house,” will depend on the circumstances. The homebuyer should have a semblance of financial security and should be searching for a home at the right time in his or her personal life.From a timing perspective, the real estate market is important. The best time of year to buy a house may surprise you. This article is designed to help potential homebuyers judge when the best time to buy a house is and when the worst time to buy a house is. Before a potential homebuyer even considers buying a home, he or she must be certain that the purchase will not break the bank. A family’s financial stability is so critical to its overall levels of happiness. While a home purchase may appear attractive for many reasons, it is not worthwhile if the buyer cannot afford to pay. In the short run, going into extreme debt to finance a home purchase can cause substantial stress, reducing quality of life. 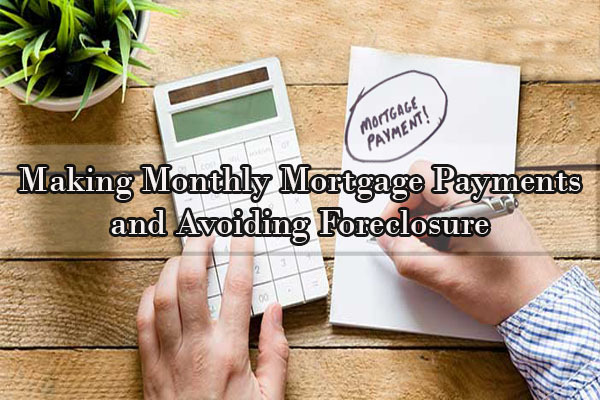 Long term, however, entering into a mortgage relationship without being certain that the family can always afford to make monthly payments will likely lead to eventual foreclosure. When you are considering whether you should enter the real estate market, you must consider your family’s financial position. You should keep three different personal financial factors in mind: your credit score, your ability to make a down payment, and your long term ability to pay a mortgage month-to-month. A credit score is a numerical ranking between 300 and 850 that is a measure of how good a particular individual has been about paying off debts in the past. Banks use credit scores to decide how much financial leeway to extend to a potential homebuyer. As a result, a good credit score will often result in favorable mortgage terms, while a bad credit score will spell disaster. Buyers with either no credit score or bad credit scores should consider taking on financial debt they can easily pay back to try and raise their credit scores before entering the real estate market. The vast majority of home purchases require a down payment of some type. While rates of down payments can vary, a potential homebuyer who has no ability to make a short term capital expenditure should not enter the real estate market. For those who have access to immediate cash, there are many options for making down payments. The standard home down payment that banks like to see before making favorable mortgage terms is 20% of the value of the property. For example, a family seeking to purchase a $300,000 home should be prepared to place a down payment of $60,000, which is not an insignificant amount of money (it’s a little less than double the pre-tax annual earnings of a $15.00/hour employee who has worked for two whole years!). For home buyers who cannot afford a 20% mortgage down payment, many banks will offer a mortgage package with lower down payment options but slightly less favorable mortgage terms. These low down payment mortgage deals often involve down payments equal to as little as 5% of the purchase price of the home. As mentioned above, the ability to make a monthly mortgage payment is a critical factor, if not the most important measure, to determine whether purchasing a home is a sound financial decision. A homeowner who cannot reliably pay his or her monthly mortgage rates will likely see the home fall into foreclosure eventually. The ability of a homeowner to pay his or her mortgage depends on the home owner’s income and debts. In other words, the home owner’s income must be high enough to make a large mortgage payment each month after taking into account expenses and other debt payments. Homeowners who foresee having trouble meeting their monthly mortgage obligations should not enter the real estate market. Many online mortgage calculators are available to help families determine if they can make their mortgage payments on time. All of this said, while finances are an important part of the picture, finances are only one part of the picture. It is easy to get too wrapped up in the financial question of stability. The stark reality is that no person is ever truly financially stable. Disaster could always strike, wiping out a home buyer’s best intentions. It is important to plan for the worst, but many wait too long to buy a home while waiting for true financial stability and never actually enter the market. From a financial standpoint, the right time to buy a home is not when you are truly financially stable, but rather when you are ready and able to undertake the financial burdens of home ownership. The other factor that potential home buyers should consider before entering the market is whether it is the right time for the family to make a real estate purchase. For first time home buyers looking to transition from renting to owning, home ownership is a big step. Owning a home is a core component of the American dream, but there are good and bad times for first time home buyers to consider undertaking ownership responsibilities. For many families, children are the largest consideration. Many apartments, particularly in the New York City area are quite small and expensive to rent without providing any equity or long term investment value for the renter. When little ones enter the picture, an apartment can begin to feel cramped. First time home buyers should also consider the type of lifestyle they want to lead. Home buyers should consider whether a city or suburban environment is best for them or whether they prefer a more rural setting. Families should also consider the proximity of schools and supermarkets. Many families who already own a home may be wondering when the right time to move may be. Many moves are motivated by unavoidable circumstances such as shifting employment opportunities, health issues, or concerns about extended family members. Other moves can be motivated by other factors, however. For example, family planning might dictate the need for a larger home. Families who planned to have one or two children might end up with three, or even with a planned number of children, a home can begin to feel cramped. Moves can also be motivated by a desire to own certain pets that need more outdoor space or a change in the current neighborhood environment. As a general rule, families who are considering moving should closely consider whether the timing is right and whether the benefits of the move outweigh the negative effects of displacing the family such as forcing children to move schools or creating longer commuting times. 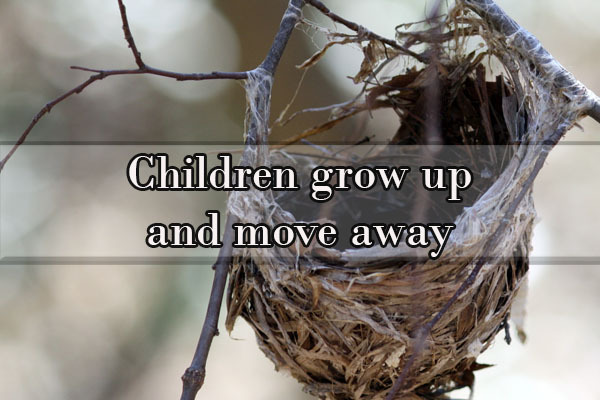 As families begin to grow smaller when children grow up and move away, many homeowners with large homes are left with large empty nests. In many cases, long-time homeowners may want to keep their homes and simply find other uses for empty rooms (guest bedrooms, libraries, customized specialty rooms,etc). Many others will want to downsize. 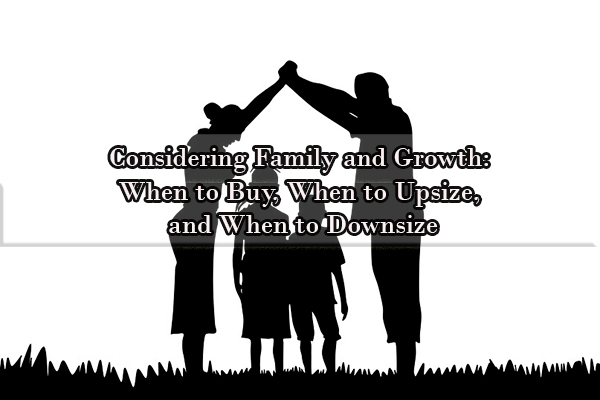 Depending on the long term financial stability and retirement savings of the homeowner, those seeking to downsize and move should consider whether downsizing to a less expensive home or transitioning to a smaller but more desirable, i.e. expensive home, is the right move. If you own a home already, then it is important to consider how to sequence selling your home and making a new home purchase. There is no real correct time to sell your current home, and it will all depend upon the circumstances that you are in. The largest benefit to purchasing a new home before selling your current home is that you can ensure that there is an easy transition between homes. Many homeowners who sell first and buy later have to manage the time in between homes either by creating a very stressful and time-crunched move out period or negotiating a rent-back period with the buyer that would delay your departure time while you pay the buyer rent. Some homeowners may even opt for planning a short stay in a hotel during the transition. On the other hand, selling your old home first can help from a financial standpoint. Selling a home will provide initial money upfront to make the buying process easier. Additionally, selling your old home first can place you in prime negotiating position for a new home because you and the seller will not have to come to terms on a sale contingency clause. Real estate market conditions are the other major factor that should influence decisions to buy. 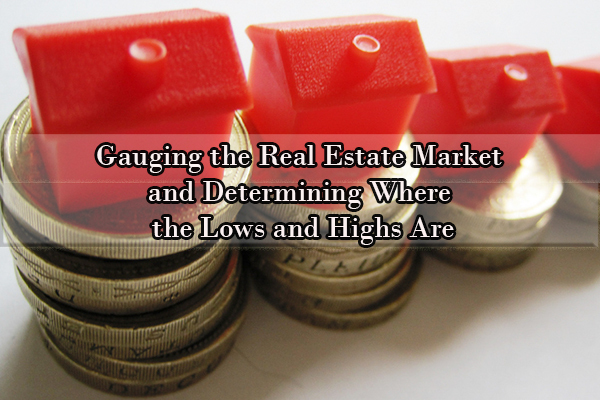 Several different metrics exist for gauging the strength of the real estate market at any given point, but the two most reliable metrics are the economy as a whole and housing inventory. In general, people intuitively understand that the best time to buy in the real estate market is during a real estate slump. During real estate market slumps, home prices tend to be lower due to many different factors. However, when the U.S. economy is strong, the real estate market also tends to surge. This is because consumers will often have more money in their pockets and are eager to make new purchases. When the economy is doing poorly, on the other hand, fewer potential home buyers enter the market which can reduce home prices. As a result, the best time to buy is often when the economy is either bad or just recovering. The Trump tax plan will also create an immediate effect in national real estate markets. In high-tax states, real estate markets will see a short-term depression because fewer people will be able to deduct the full weight of their property taxes due to the new $10,000 state and local tax (SALT) cap. That said, however, states with low property taxes will likely see real estate market upswings as a result of many consumers having more money in their pockets due to increased tax savings and one-time bonuses from employers (companies such as Home Depot and WalMart have announced that they will be giving employees bonuses as a result of the tax plan). Surprisingly, the best times of year to purchase new homes are on Christmas Day and Easter Sunday. December is the best time of year to purchase a new home because the market prices will be at a yearly low and few other buyers will be looking to make purchases resulting in a wider selection of homes. Additionally, the Christmas season tends to imbue home sellers with holiday cheer making them more amenable to home price negotiations. Easter is also a very good time of year to purchase a new home. 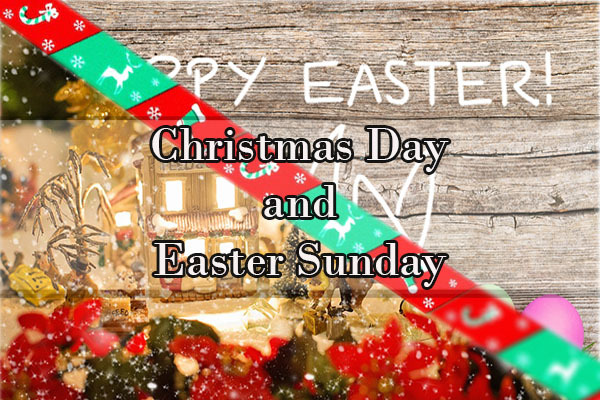 While the prices may not be as low as in December, Easter falls just before the big May purchasing rush that occurs every year, which means that the total selection of inventory is higher than any other time of year. With so much inventory on the market in preparation for May, choosing between multiple dream homes may be your biggest obstacle.The real estate market is like a winding river. There are high points and low points, and if home buyers are not careful, they can get swept under the rapids of high home prices. On the other hand, home buyers who can navigate the river with skill and grace will see large home sale savings when shopping for real estate. Smart home buyers must consider both the market conditions and their personal readiness to enter the market. Those who think before buying will make the most of their home purchasing experience and find the ideal home for their families at a fair price. What Is the Worst Time to Purchase a New Home? There are many different factors that could affect the ideal time to purchase a home. From a statistical perspective, June is the worst time to buy a house because home sales tend to close faster during the month of June which leaves less time to negotiate price. Similarly, March, April, and May are poor times to purchase because listing prices are above average at those time. You can discover a lot about your area’s home price sale trends by doing some simple research. By comparing historical sales to what homes sell for on the current market, you can determine whether now is a good time to buy or if you should wait for the price to drop. Much of this information can be found easily online from websites like Redfin and Zillow, but your real estate broker can also help you provide this information. When houses stay on the market for longer periods of time, the prices tend to be lower. Therefore, a good indicator of when to purchase is to determine how long the average home in your area stays on the market. Homes which sit on the market for more than six months are likely to be set at unreasonably high prices. On the contrary, if homes move in and out of the market within just a few months, bidding wars are more likely to occur. Even if you are not planning to purchase a brand new home, it is important to recognize that the construction industry trends are directly impacted by the state of the housing market. As a result, what happens in the construction industry can serve as a predictor for home prices. If many new neighborhoods in your area are under construction, that likely signals that prices are high because homes are in short supply. On the contrary, a lack of new construction signals a market glut, which at the very least guarantees fair prices. Information on construction trends can be found through the U.S. Census Bureau. Prices of homes on the market are also affected by economic market trends in general. Have wages recently stagnated in your area? If so, then there are probably fewer homebuyers looking on the market. Did a new large corporation open up a new branch in your area? If so, it may be worth waiting a month or two to purchase a home so that the company’s new employees have time to purchase their homes first, reducing market demand. By keeping track of current trends in the market broadly, you can forecast the best times to purchase. Finally, there is more than price at stake in making a home purchasing decision. You should never buy a new home you do not like simply because it is a good price. After all, you will have to live there once you make your purchasing decision. For some people, this means that it is more advantageous to shop for a new home when there are more options on the market. Generally, the spring and summer months include the most available housing inventory, which means that there are more choices from which to select your dream home. Is 2018 a Good Time to Buy a House? According to realtor.com’s “2018 State of the Housing Union” report, home prices and home sales are stagnant this year due to fewer homes being on the market. Additionally, according to Redfin’s chief economist, homes were only on the market an average of three months at a time and were selling faster than in previous years. As a result, bidding wars have been more frequent recently for prime real estate. This supply reduction has resulted in above-average, but not unreasonable home prices. Millennials or prior-renters seeking to enter the housing market may have difficulty doing so at this time, but current homeowners with savings could consider purchasing a home now. However, it may be advantageous for anyone willing to wait to do so. This is because the larger economy is on solid ground right now, but future rocky footing may be coming in the near future due to uncertainties over transnational trade, tariffs, and new technology-related bubbles. While the above information provides a general overview of when to purchase a new home and how buyers should make home sale decisions, many more factors should influence the buyer’s purchasing decisions. Q: How many homes should you look at before buying one? A: You should look at as many homes as you need to in order to make a good decision. Dream homes rarely appear out of thin air, and you need to make sure that you are getting a good idea of the market and available properties before you purchase. Q: How is the neighborhood/area? A: Remember that you will need to live in the home once you make the purchase, so it is important to be comfortable with where you live. Is the neighborhood well-kept and are its residents happy? Also consider the existence of nearby services. For example, if you enjoyed getting Thai food takeout near your old home, maybe you should search for nearby Thai restaurants. Additionally, consider the nearby location of parks and recreational facilities. Work with a real estate professional to help find a neighborhood that’s right for you! Q: What are the average utility bills in the area? A: Homeownership is not inexpensive and you should be prepared to pay the additional costs of monthly utilities on top of your mortgage payments. You should always ask the owner of a home to supply utility bills for your reference before you make a purchasing decision and keep in mind that the bills may change from month-to-month. Q: What is the age of the property? A: And also, were other homes in the area built at the same time as your prospective purchase and if so, what is their condition? It is very common for most homes within a neighborhood to be built all around the same time. If this is the case with the neighborhood you are considering purchasing in, ask your potential neighbors what work they have needed to do around their homes recently to help you forecast what your future repair obligations may be. A: The performance of local schools impacts property values and for good reason. Finding information on local schools is relatively easy online, and your realtor can provide you with all of the necessary information. Additionally, the school will also likely permit you and/or your child to visit for a day and see if it’s a good fit. Q: How much should I offer the sellers? A: When buying a home, you are the only one who can determine how much you should offer a seller. Certainly it’s suggested you ask for your Realtors advice and thoughts, but ultimately you are the only person who can determine how much you should offer. A: An earnest money deposit is also frequently referred to as a good faith deposit. When a buyer purchases a home, they provide a contract deposit to be held in the seller’s attorney’s escrow account. The primary purpose of this deposit is to show a seller you are serious about purchasing their home. 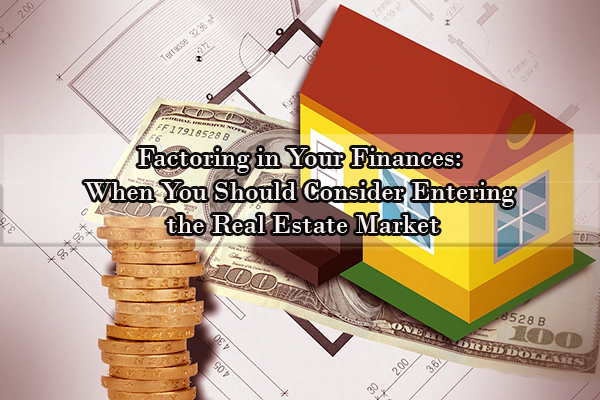 The amount that is deposited is subtracted from the final figure that a buyer pays at the closing table. In most cases, the larger the deposit, the stronger a purchase offer looks to a seller. Q: How long does the seller have to respond to my offer? A: There is not a standard answer to this question. Rather, your decision should depend on the home market. 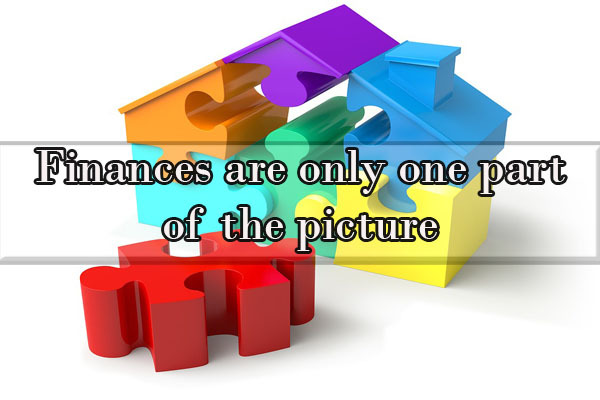 This is because if a home has a reasonable chance of receiving multiple bids, you will want to close on the home as soon as possible. Work with your realtor to determine a timeline for acceptance. A: When a purchase offer is submitted to the seller there are generally four possible responses. The first is an accepted offer, the second is a counter offer, the third is a rejected offer, and the final is an offer that is not responded to. If your offer is rejected, meaning the seller says no and doesn’t counter, you have the right to place another offer. It’s not very common an offer is rejected or not responded to, unless a seller is offended by a low-ball offer. Q: Should I buy a home at a foreclosure sale? A: Maybe. Foreclosure homes are homes being sold by a lender, usually at a lower price than market price. Foreclosure homes can be a great financial deal, but many homes come with unexpected problems and may need considerable maintenance or remodeling. Additionally, you will not have an opportunity to do a home inspection on the home prior to purchasing it. This means you are buying a home whose condition you don’t know much about. This is dangerous for first time home buyers. Q: What is a short sale and is it worth purchasing? A: A short sale is the sale of a home in which the sale price is less than the balance of mortgages held against the property. Usually, a short sale occurs where the current homeowner cannot pay back the mortgages and is willing to sell the home at a lower price simply to get out from under the debt. Short sales can be great deals if the buyer can manage the debt properly and avoid foreclosure. A short sale must be approved by the seller’s mortgage bank as the bank is the one that is taking a loss on the sale of the property. Q: Do I have the option to have any inspections? A: When buying a home, you have the option to perform several types of inspections. The purchase offer you write can be contingent upon a satisfactory home inspection, pest inspection, chimney inspection, radon test, and many other inspections. In most cases, it’s recommended that when buying a home, you at the bare minimum have a home inspection. There are home inspection findings that are more common than others, however, no two homes are the same so it’s a great idea to get the home inspected. 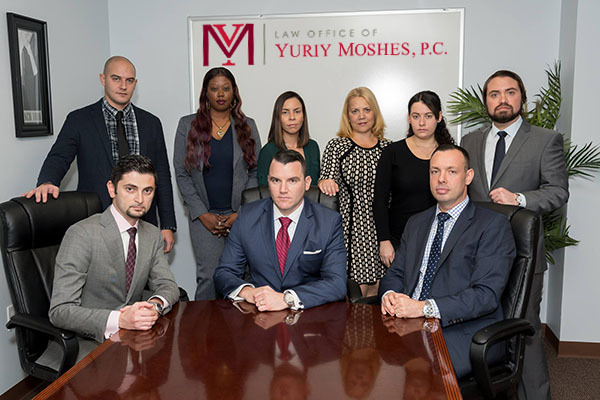 The Law Offices of Yuriy Moshes is a full service real estate law firm that assists home buyers in finalizing home sale transactions in New York and New Jersey. If you have any questions about the inner-workings of the real estate market or if you would like assistance in finalizing home sale contracts and closings, contact our law firm for assistance.